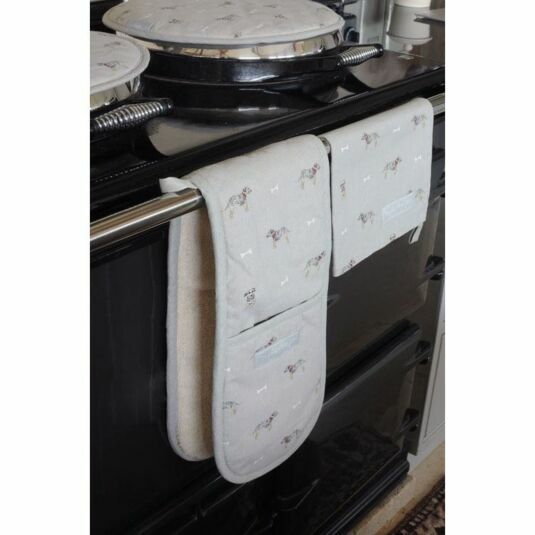 Part of Sophie Allport’s Terrier collection of fine bone china and kitchen textiles, this double oven glove is decorated with beautiful illustrations of a terrier surrounded by white bones. Classy, elegant, and full of country chic charm, it has 2 hand pockets, great for getting large dishes out of the oven; it also features a hanging loop in the middle of the glove. The Sophie Allport embroidered logo tag features on a pocket. 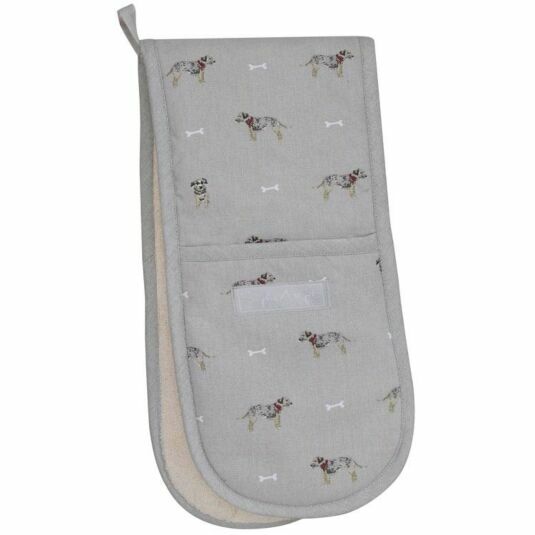 This oven glove is 100% cotton with the reverse and hand pockets being made from a special heat resistant material. The measurements are 20 x 84cm. The delightful Terrier range from Sophie Allport includes a collection of stylish kitchen textiles, oilcloth and fine bone china. Largely featured on biscuit cotton fabric the product range features Sophie's illustrations of Terriers. This delightful range is sure to be loved by any fan of man’s best friend.